On August 9 2013, we’re bringing you Dr Oz’s exclusive interview with Rick Springfield. From his ups to his downs, Rick Springfield is opening up about his battle with depression and addictions. He tells Dr Oz about the time he tried to take his life and how he moved back from the edge. Also on this episode, Dr Oz talks about a new study that shows women who take ibuprofen four to five times a week have a 21% increased chance of losing their hearing. Dr Oz talks alternative pain management and what the safe amount of ibuprofen is. In his new memoir, Rick Springfield is very open about his struggles with depression and addictions. He tells Dr Oz about the day that he tried to kill himself and why things got so bad. Springfield said that being unfaithful and being with many different women was a huge weight on him. He coped by writing music, meditating and hugging dogs. 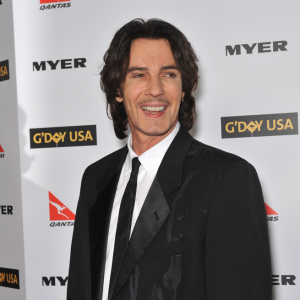 Then, Rick Springfield talks about his new documentary, An Affair of the Heart. A new study has Dr Oz up in arms. It showed that women who take ibuprofen four to five times a week have an increased chance of losing their hearing. Dr Oz goes to two specialists to find out what this really means for women. Learn how to identify the signs of hearing loss on August 9. Also, Dr Oz reveals how to beat pain without ibuprofen. Feverfew and tart cherry juice might be the solution you are looking for. How can you protect your eardrums? Well, 95% of hearing loss is irreversible, so you are going to need these tips on protecting your hearing and learn some couch potato workouts!